Lennox Head is a pleasant coastal town in Northern New South Wales. 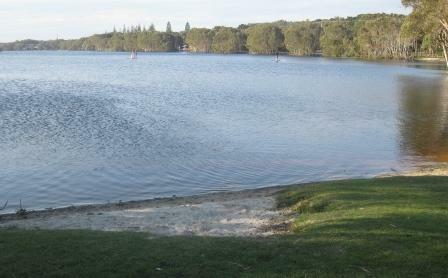 Following are a few photos of the area, including the headland, Seven Mile Beach, Lake Ainsworth and the local markets. 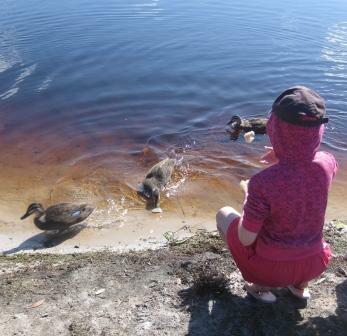 We stayed at Lake Ainsworth Holiday Park (my review here) while at Lennox Head. 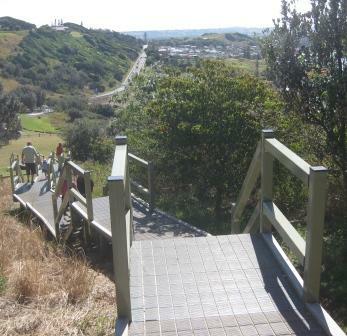 Lennox Head has a walkway to a viewing area at the top of the headland. From the car park, you cross a grassed hang gliding launch and landing area, then take some stairs up the hill. From the top of the stairs is an easy walk along a dirt track to the lookout area. There are sweeping views to the north and south of the headland. 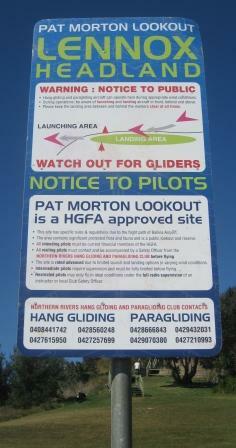 Lennox Head is a popular place for hang gliding. Many years ago, I had a tandem hang gliding flight there. There were no hang gliders there on the days that we were there. Seven Mile Beach is the main beach at Lennox Head. Apparently Seven Mile Beach is not actually seven miles! 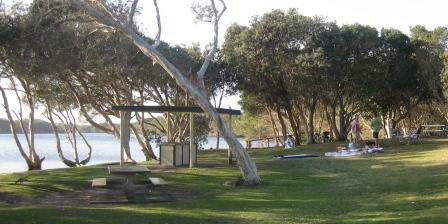 We accessed the beach from the surf clubhouse near Lake Ainsworth Holiday Park. The beach had no surf patrol while we were there, but I understand that there is a surf patrol is the popular holiday season. There were some people learning to surf while we were there, but the water was too cold for many people to swim. My children preferred to play on the wide, sandy beach than swim. Lake Ainsworth is a freshwater lake that has distinctive tannin-stained waters from the surrounding tea trees. The lake is popular with swimmers and stand up paddle boarders. Over the warmer summer months the lake is subject to blue green algae bloom, making it unsafe for water activities. The markets are held on the second Sunday of every month and fifth Sunday (when there it occurs). They are held on Pacific Parade beside Lake Ainsworth, north of Old Mining Road. The markets were popular, but parking was at a premium.